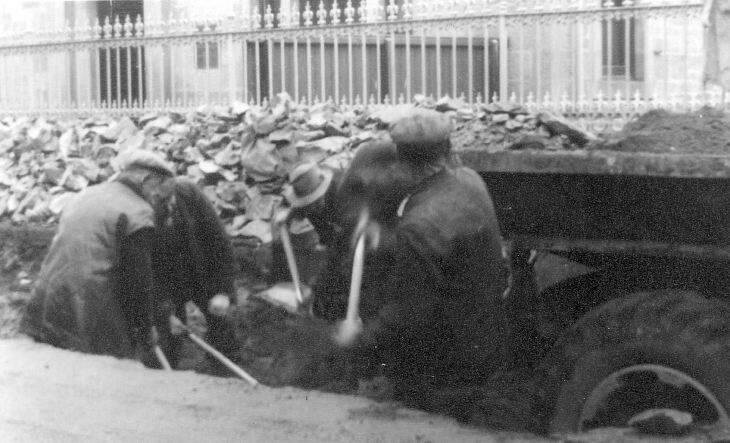 Monochrome photograph with album notation "Sutherland County roadmen hard at work on Castle Street, Dornoch April 1954". From an album of postcards and photograhs taken by Mrs J.I.C. Mackay of Dornoch and surrounding area.